Nature Magnified: How to make a DIY under-gravel filter for your aquarium. How to make a DIY under-gravel filter for your aquarium. My weekend project was to set up an old aquarium I came across lying around. The aquarium originally came with its own filtration system but that had stopped working. 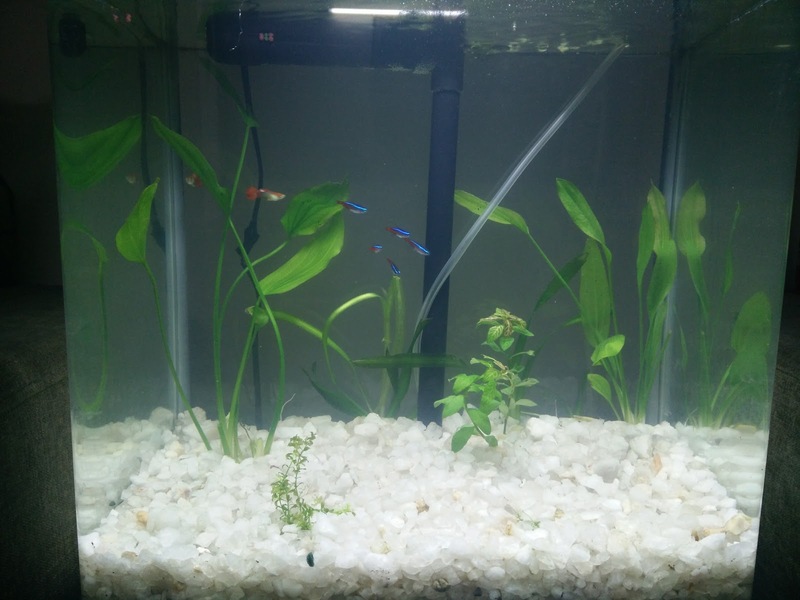 So, I took the opportunity to build and set up an under-gravel filter for this aquarium. In an under-gravel filter, water is sucked across a bed of gravel and circulated to the top of the water column. Bacteria colonise the gravel bed and are able to break down harmful nitrogenous and other wastes. The water also gets oxygenated as it fall at the top. I have used this kind of filtration for most of my aquariums in the past and have had a good experience with it.